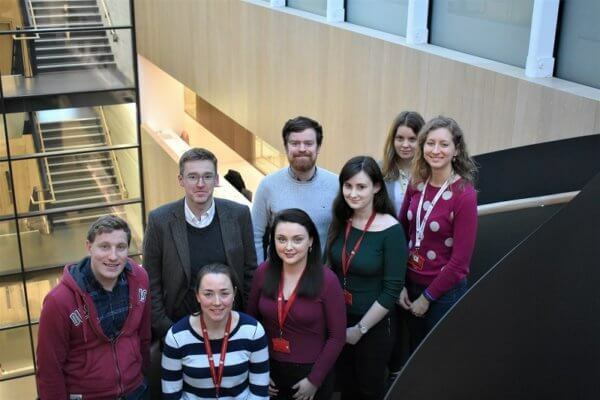 The Preston Lab is part of the Irish Centre for Vascular Biology and Department of Molecular and Cellular Therapeutics at Royal College of Surgeons in Ireland (RCSI), based at St Stephen’s Green, Dublin. The research in our lab is focused on enhancing our understanding of coagulation factor biology and function, and using these insights to develop novel therapeutics for vascular dysfunction and inflammatory disease. Roger Preston obtained his BSc. (Hons) in Molecular Biology from University of Aberdeen (2000), completed an MSc. in Bioengineering at the University of Strathclyde (2001), then attained his PhD at Imperial College London (2004). He has received several individual fellowship awards, including a Health Research Board Research Fellowship (2007), a Science Foundation Ireland Starting Investigator Research Grant (2009), and a Haematology Association of Ireland Scholar Award (2010). His research has been recognized by international research awards including the Novo Nordisk ‘Access-To-Insight’ Research Prize (2010), Bayer Hemophilia Award Program Early Career Investigator Award (2013), Daiichi-Sankyo Irish Heart Foundation Award (2015), and Bayer Hemophilia Special Project award (2016). He was appointed Assistant Professor in Immunology at Trinity College Dublin in 2012, then moved to the Royal College of Surgeons in Ireland in 2016. At RCSI, he is a Lecturer in Vascular Biology in the Department of Molecular and Cellular Therapeutics. He was formerly the Scientific Secretary of the Haematology Association of Ireland (2015-2017) and currently serves on the Editorial Board of Seminars in Thrombosis and Haemostasis (2015-present) and Research and Practice in Thrombosis and Haemostasis (2016-present). His research group is currently funded by awards from Science Foundation Ireland, Bayer Healthcare, and the National Children’s Research Centre. NCRC-funded Postdoctoral researcher investigating the anti-inflammatory and protective role of activated protein C pathway in the context of paediatric inflammatory bowel disease. The number of children with paediatric inflammatory bowel disease (PIBD) in Ireland has surged in the last 15 years. Current treatments for children with IBD are often ineffective so new approaches that expand the repertoire of efficacious treatments for PIBD are required. In this study, we will assess whether children with IBD attending OLCHC for treatment exhibit impaired anticoagulant and anti-inflamamtory pathway activity in their intestinal lining compared to healthy children. These studies will shed new light on the role of the PC pathway in regulating IBD development in children. Bayer HealthCare Pharmaceuticals Hemophilia Award Program – International Special Project Awardee (2017). Ad hoc invited reviewer for Blood, Journal of Biological Chemistry, Journal of Thrombosis and Haemostasis, Biochemistry, Thrombosis and Haemostasis, Vascular Pharmacology and Thrombosis Research and others (2006-present). Scientific Secretary of Haematology Association of Ireland (2014-2017). Science Foundation Ireland Career Development Awardee (2016). Daiichi-Sankyo Irish Heart Foundation Bursary Award Winner (2016). Haematology Association of Ireland Inaugural Scholar Award (2010). Science Foundation Ireland Starting Investigator Research Grant Awardee (2009). Health Research Board Research Fellowship Award (2007).